CAIR-MN is offering a $5,000 reward for information about what happened to Abiir Moalim, who went missing in Minneapolis on Sunday. CAIR-MN had offered a $5,000 reward for information about what happened to Abiir Moalim. The Council on American-Islamic Relations says a 21-year-old woman reported as missing overnight has been located in Ohio. 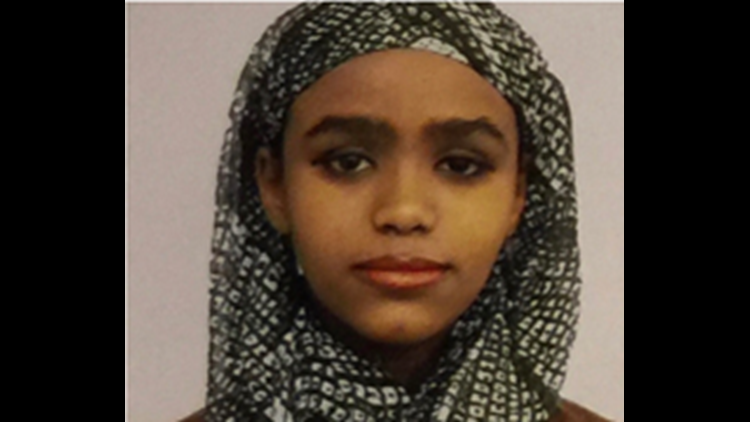 CAIR-MN says Abiir Moalim is safe after she was found in Columbus, Ohhio. Moalim was visiting Minnesota from her home in Ohio when she went missing on Sunday in Minneapolis. Moalim is a nursing student at Columbus State Community College. She was with her mother and grandfather at Quruxlow Restaurant at 1414 E. Lake Street in Minneapolis at about 4:30 p.m. on Sunday, Dec. 30, when she left to go to the bathroom. CAIR says Moalim never returned, and did not have a phone with her. CAIR-MN offered a $5,000 reward for information about what happened to her.